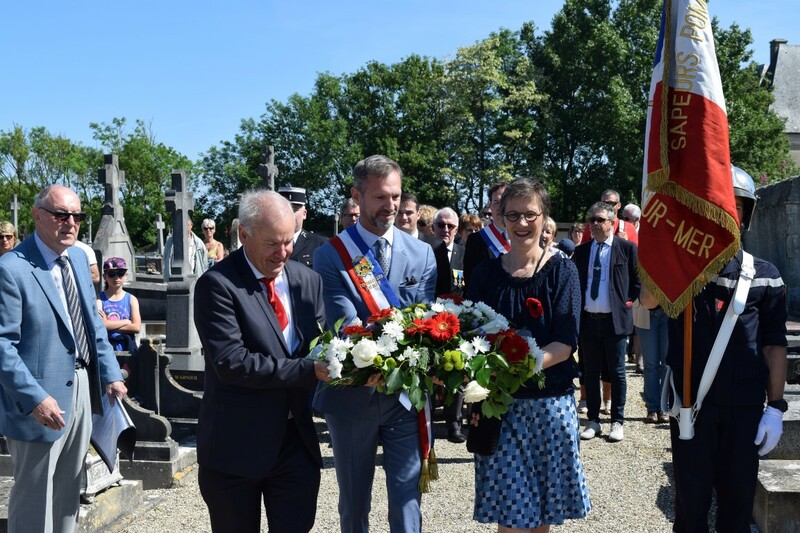 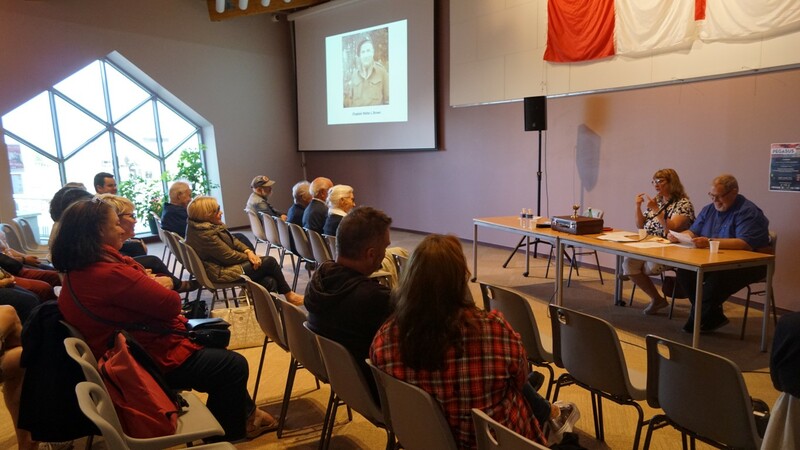 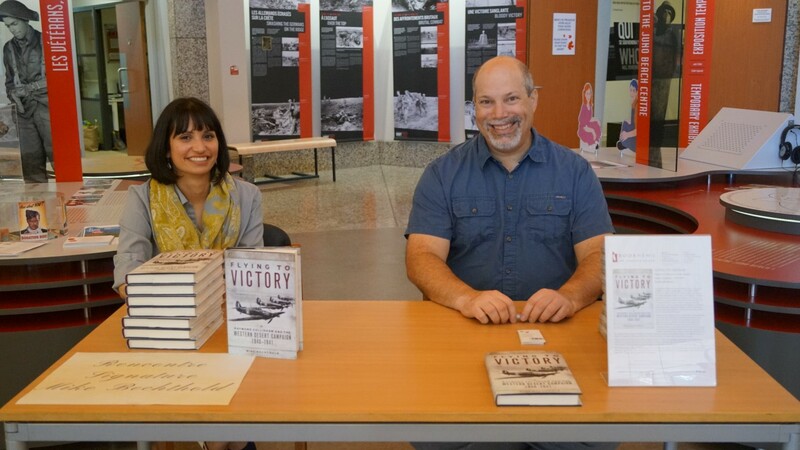 On Saturday June 2nd Reverend Tom Wilson and his wife Dr Dawn Cornelio captivated their audience with a conference on Allied chaplains during the Battle of Normandy. 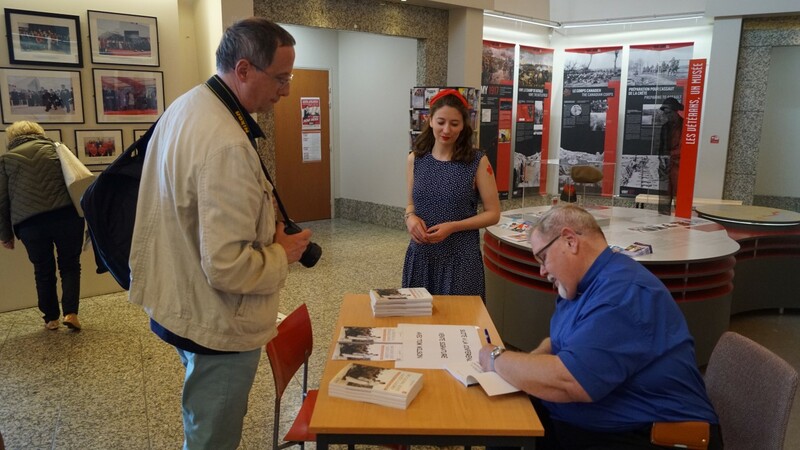 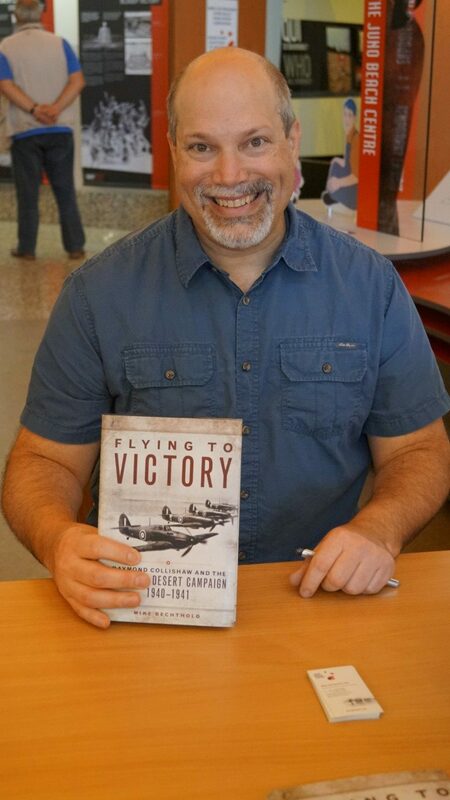 Revered Wilson held a book-signing following the conference. 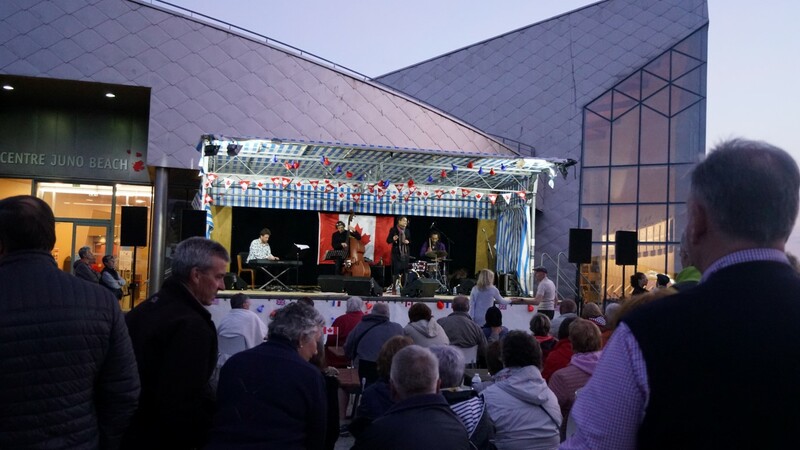 In the evening, the concert by Nathalie Pena Vieira 4tet was an immense success! 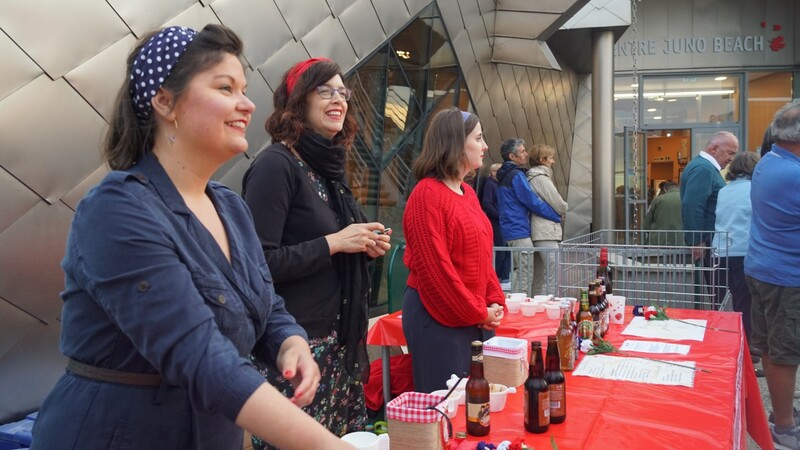 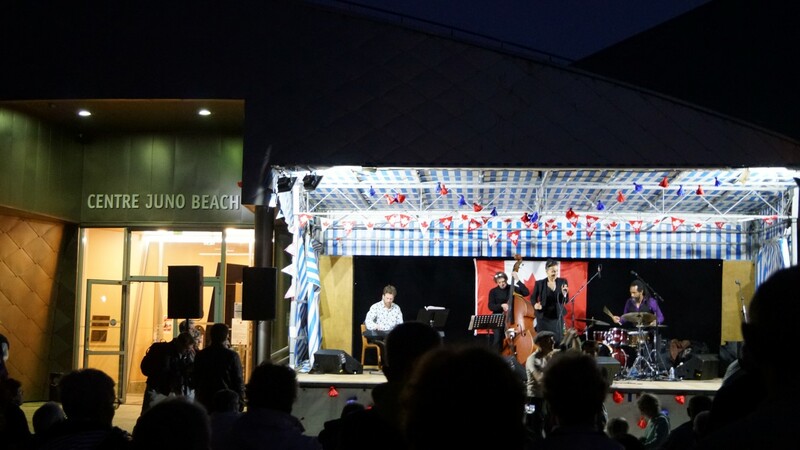 The singer and musicians enthralled the audience with the great quality of their show and got some of the most enthusiastic of the 300-person crowd up and dancing. 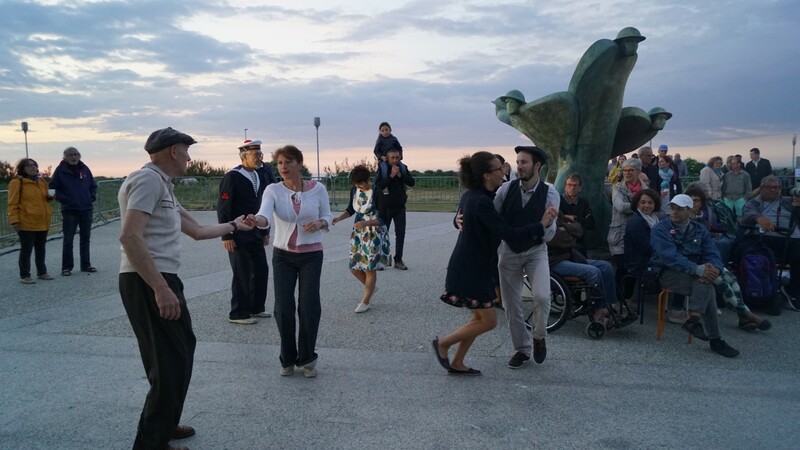 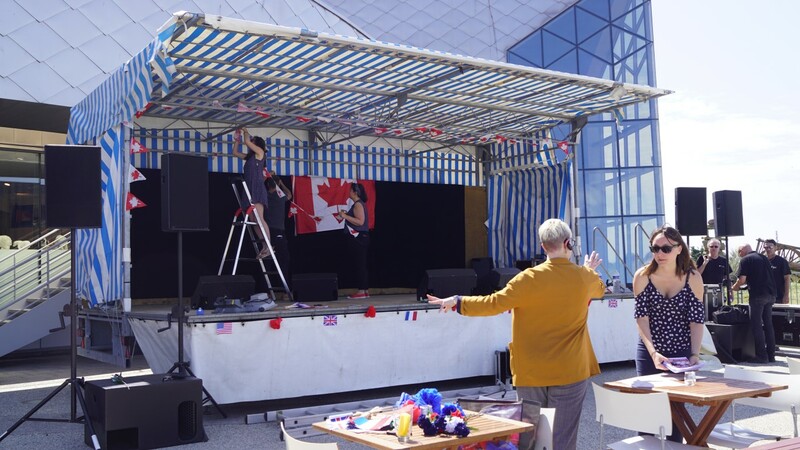 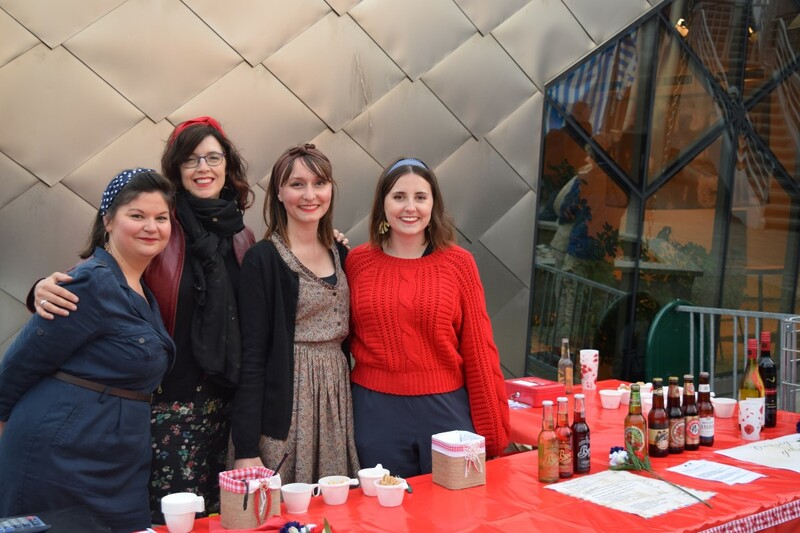 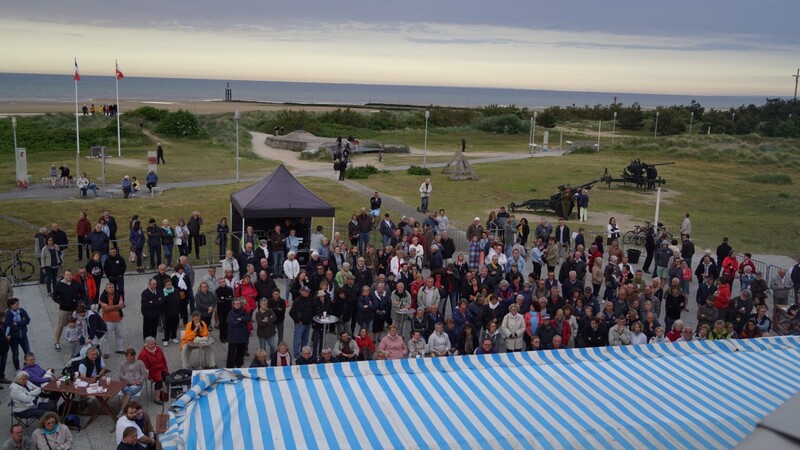 Thank you to the artists, technicians, Juno Beach Centre staff, volunteers and especially the crowd in attendance! 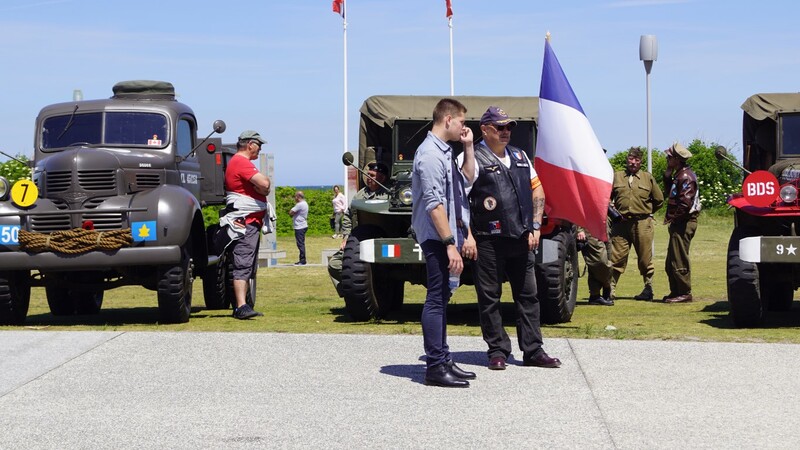 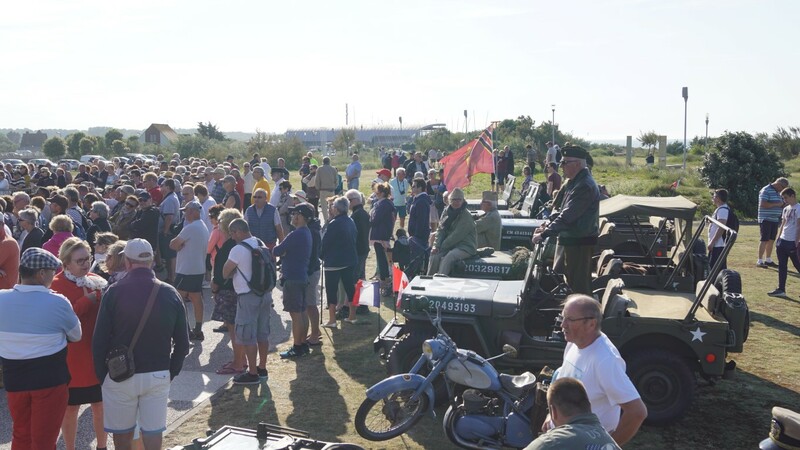 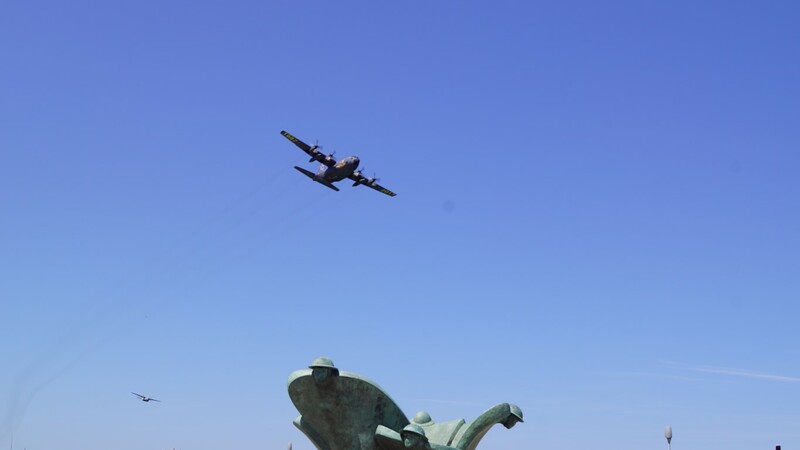 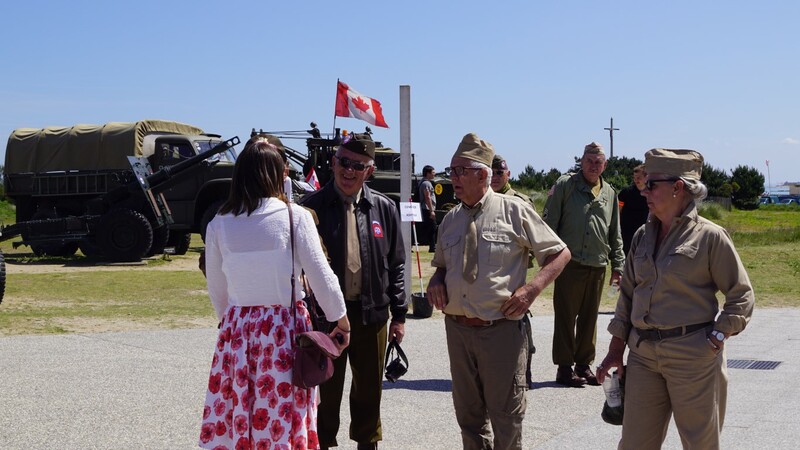 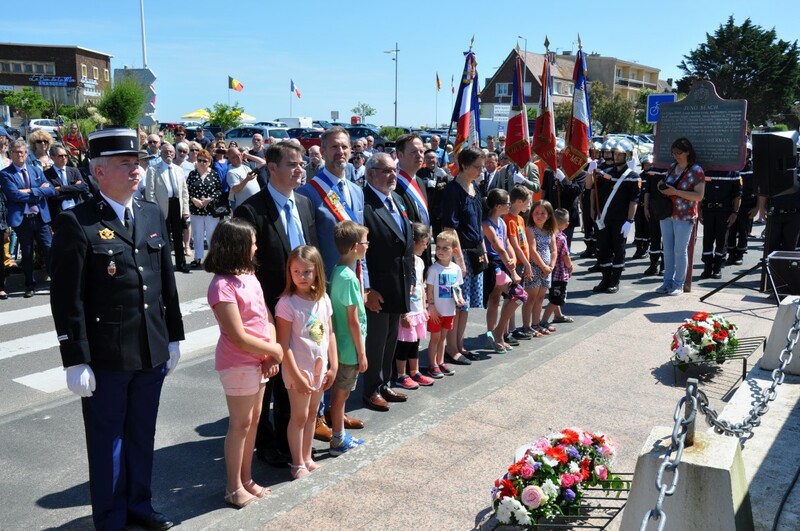 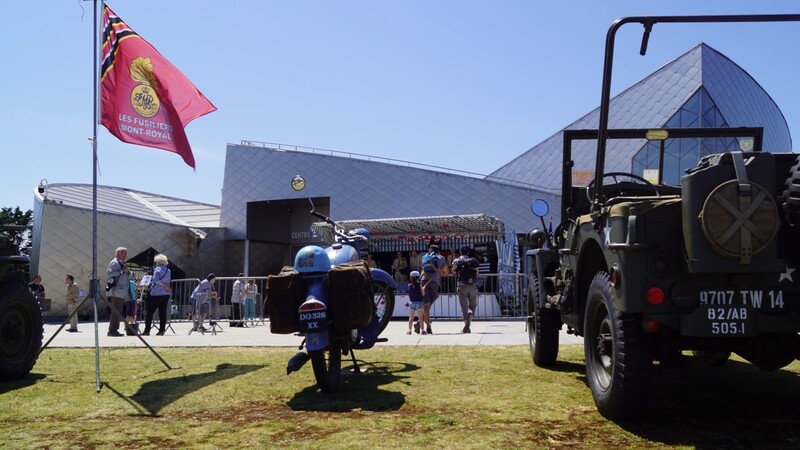 A bright sun was shining on Sunday June 3rd for the military vehicles of the “Compagnie F les Fusiliers Mont Royal” association on display on the esplanade of the Juno Beach Centre. 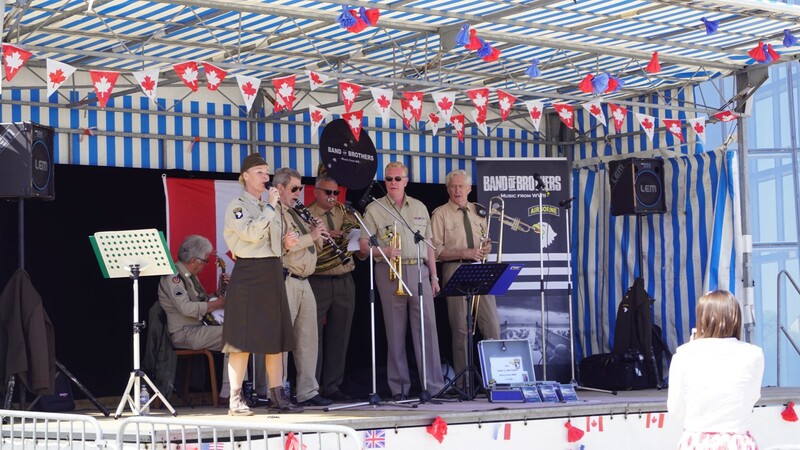 The “Band of Brothers” from the Netherlands provided the musical entertainment in the early afternoon. 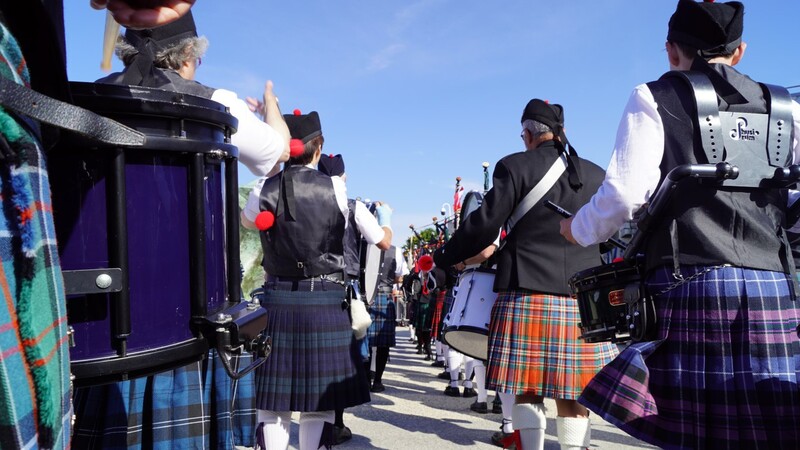 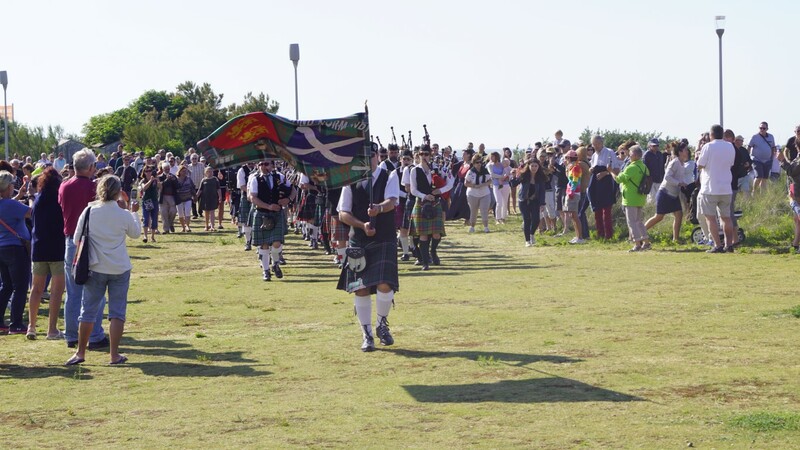 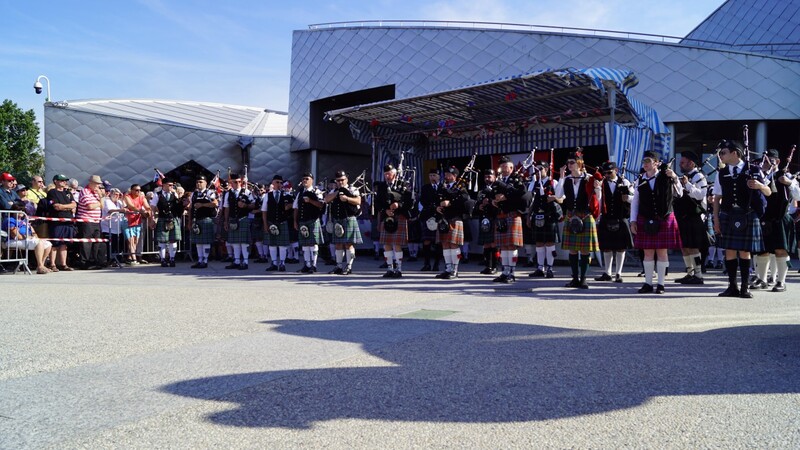 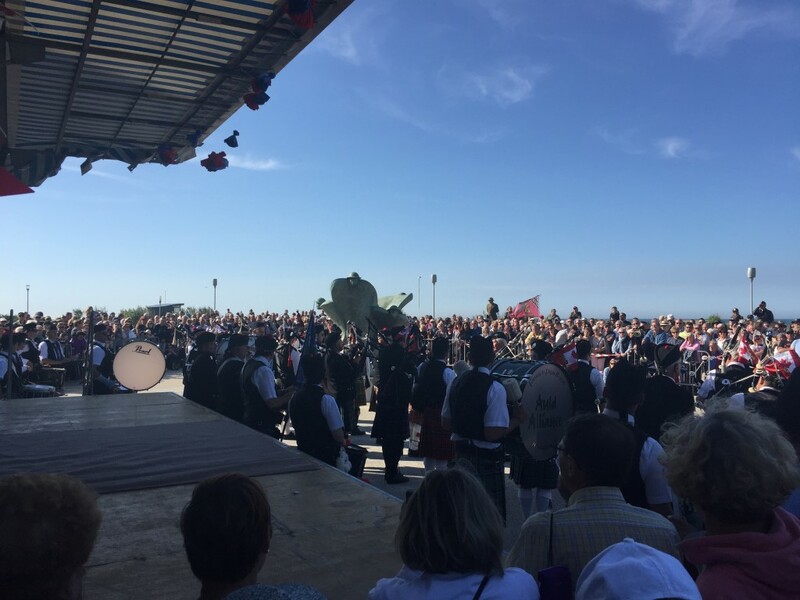 At 6pm, organised by Terre de Nacre Tourisme a Mass Band of 50 pipers and drummers put on quite the show to a public of 700 people gathered on Juno Park for the occasion. 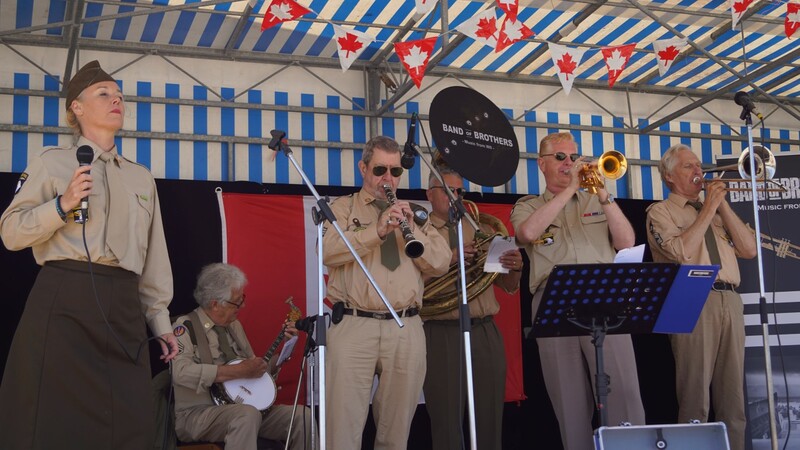 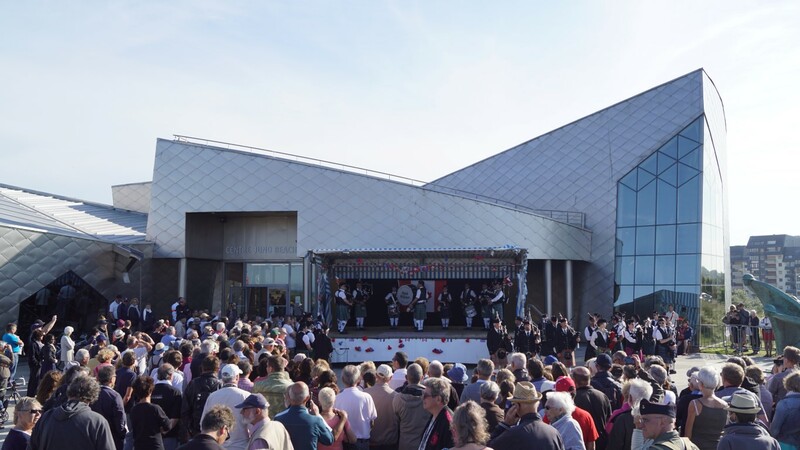 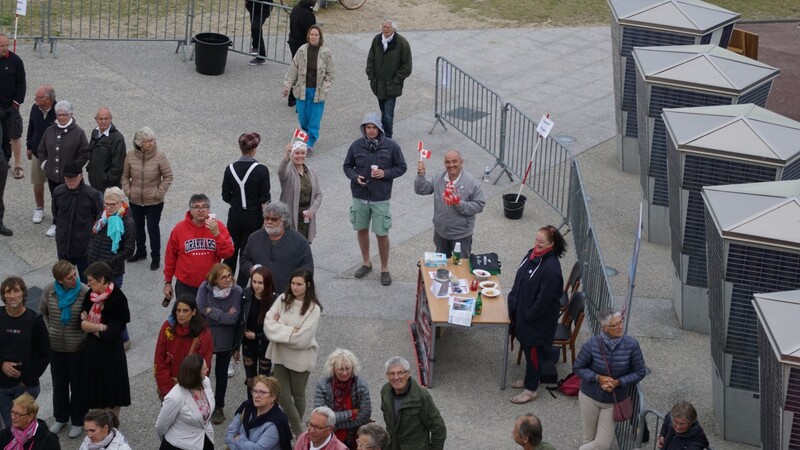 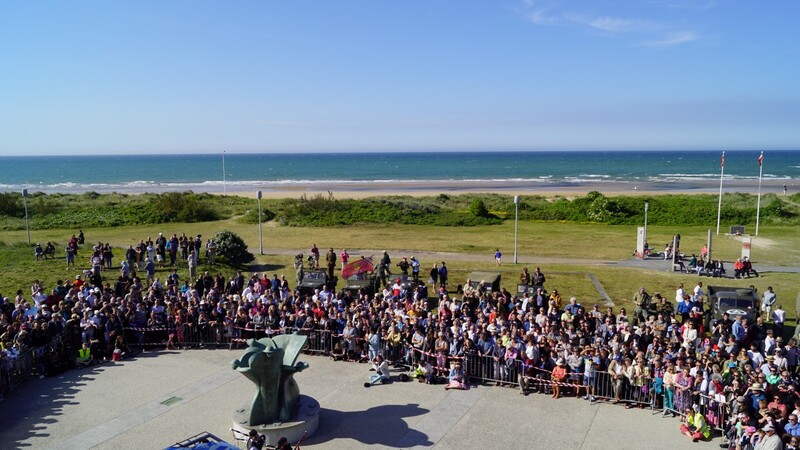 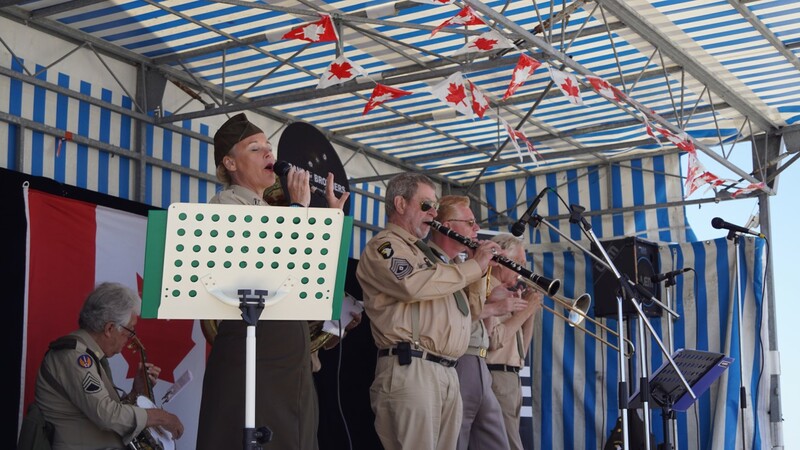 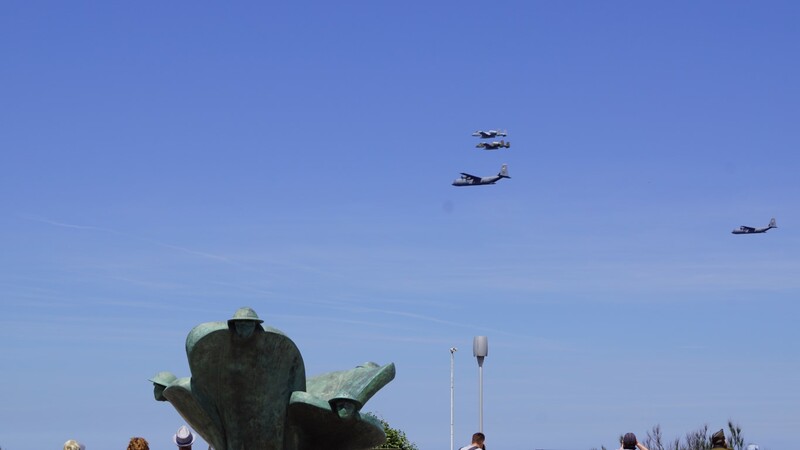 Thank-you to all those who came out, and see you again soon on Juno Beach. 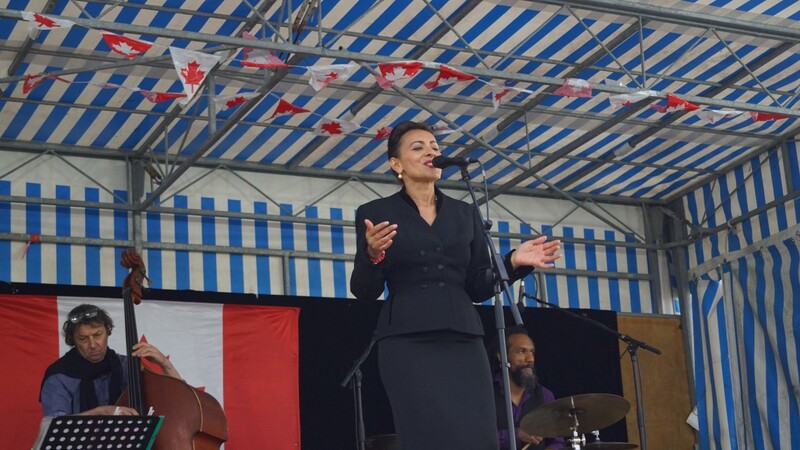 👉 Stay connected… videos coming soon!